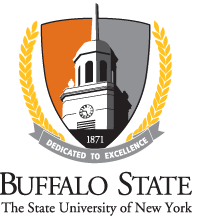 The division of Finance and Management is responsible for the leadership and management of business and financial operations, human resources, facilities planning and operations, and University Police at Buffalo State. Buffalo State is a wonderful and exciting place to work and learn. Our division is charged with providing an appropriate environment for instruction and scholarship by keeping the campus functional, safe, attractive, and growing. Please take the time to browse through our website, learn more about the departments within Finance and Management, and contact us with questions.